#365DaysofLondonBaby -Day 9- Highgate Cemetery | That's London Baby! Halloween is over, but you can still visit the dead! As the days become more eerie, visiting a cemetery will be a special treat. Highgate Cemetery is one of the “Magificent Seven” Cemeteries that were built in Victorian London times to manage the increase of Death that came along with the city’s explosion of inhabitants. Situated on either side of the steep Swain’s Lane into Highgate (even if you are not into cemeteries, its a great place to train your cycling skills! ), there are about 53.000 graves “home” to 170.000 people. What makes the Cemetery famous though, is a number of “celebrity inhabitants” (Karl Marx is one of the most obvious ones to the visitors), ostentatious burial sites (like the Egyptian Avenue or wealthy peoples large grave houses) ,and the fact that the Western part of the Cemetery is a natural reserve. The reason for that lies in the history of the Cemetery. It opened in 1839 and became the “place to be buried” for the rich and famous. The site was so successful, that an Eastern Extension was opened in 1856. However, by the turn of the century, the elaborate graves became out of fashion and by the 1930, the site had slowed down, mostly with more economical burial options. In the 1960s, the London Graveyard Company who was running the Cemetery, was shut down and so was the Cemetery. Nature took over (as can be seen in the pictures) and the place became an attraction for occult groups while falling into further decay. In the 1970s, the Friends of Highgate Cemetery started voluntary work to make the site accessible again – so the public can enjoy it. If you want to visit, you have two options: The West Side and the East Side. The West Cemetery is closed to the general public (due to Health, Safety and Conservation reasons), but you can visit it with a 1 hour tours. They run daily and more often on the weekends, but booking is required – you can book here. Prices are £12 for adults and £6 for children. During the weekend, you can also turn up and be put on the next tour if places are available. The tours also include entry to the East Cemetery. Highlights of the tour include the Grade 1 Listed Egyptian Avenue (see picture in this blog), the Lebanon Circle and the Mausoleum of the Beer Family. 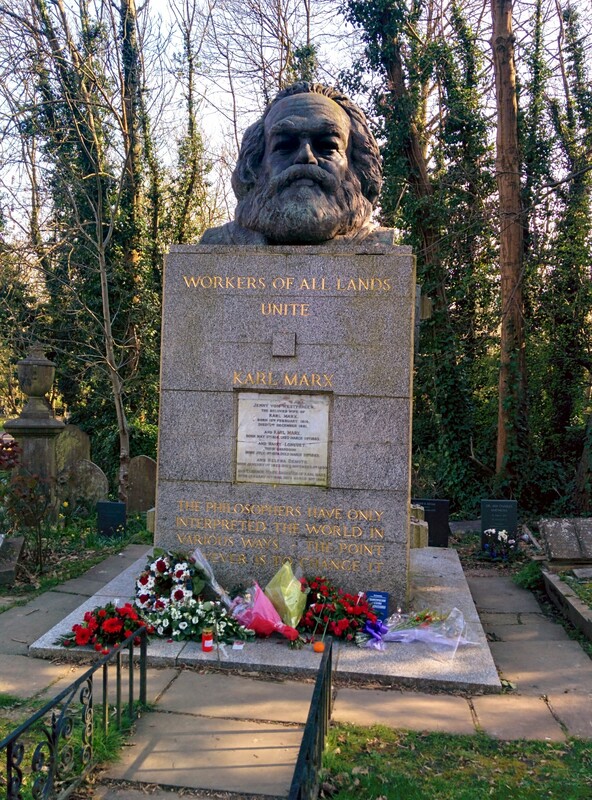 The East Cemetery (where Karl Marx is buried) can be visited self-guided – entry costs £4 for adults (including a map) and the cemeteris is open from 10am-4pm on Weekdays and 11am-4pm on weekends.